Dr. Kellogg’s role with InFORM is to coordinate the citizen science sampling and coordinate the communication of results from the coastal, oceanic, and biotic monitoring. He was motivated to join the project because it was an opportunity to educate the public about the scientific process, address speculation, and communicate the exciting nature of marine research. Jonathan comes from a varied background communicating the research of oceanic oxygen minimum zones, the health of Chesapeake Bay, circulation of the Salish Sea, and the processes of seafloor hot springs. 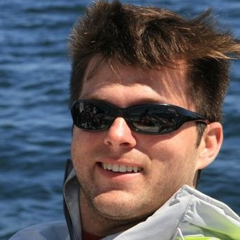 A Seattle native, Jonathan grew up sailing the inside and outside passages of coastal British Columbia. As an avid diver, boater, and fisherman, Jonathan is passionate about exploring the marine world and he is excited to work with citizen scientists. He looks forward to learning from their experiences and integrating local knowledge into the lessons learned from this important marine monitoring work.